The start of the session is coinciding with the counting of votes for assembly polls in five states. The Winter Session of parliament beginning Tuesday is likely to witness a united opposition piling up pressure on the government over issues like the exit of the RBI Governor, rumblings in the CBI and Rafale deal, while parties like Shiv Sena are set to make a renewed pitch for Ram temple in Ayodhya. The start of the session is coinciding with the counting of votes for assembly polls in five states, and the outcome of the high-pitched electoral battle, seen as the "semi final" ahead of next year's Lok Sabha polls, is likely to be felt inside and outside Parliament. After the meeting, opposition leaders gave a clear indication that they will corner the government on exit of Urjit Patel as RBI governor besides several other issues. The government drew a raft of criticism from opposition parties over Mr Patel's sudden resignation on Monday amid differences between the RBI and the Centre. 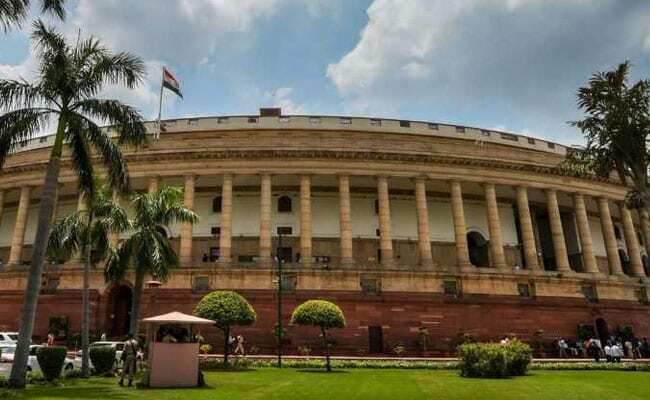 The results of Assembly polls in Madhya Pradesh, Telangana, Rajasthan, Chhattisgarh and Mizoram are also expected to set the tone for proceedings in both the houses of Parliament. An impressive performance by the Congress in Madhya Pradesh, Rajasthan and Chhattisgarh, all being ruled by the BJP, will significantly enhance the party's confidence in taking on the government on various issues. A good show by the BJP in the politically crucial states will help it in blunting opposition attacks and pushing for several pending legislations. On its part, the ruling BJP is expected to highlight the government managing to bring alleged middleman in the Rs 3,600 crore AgustaWestland chopper deal, Christian Michel, from the UAE as well as successful pursuing of the case for extradition of fugitive businessman Vijay Mallya in a UK court. The infighting in the Central Bureau of Investigation after which its Director Alok Verma and Special Director Rakesh Asthana were sent on leave by the government and the issue of alleged misuse of probe agencies including the CBI are also likely to be raised by the opposition. There is consensus among opposition parties that the assault on institutions such as the RBI must be stopped, Congress president Rahul Gandhi said. "Institutions, from the CBI to the RBI, have become total disasters. This has never happened before. It is a matter of great shock. We must protest," West Bengal Chief Minister and Trinamool Congress leader Mamata Banerjee said. The opposition parties have also said that they will press for a joint parliamentary committee probe into the Rs 58,000-crore Rafale jet deal in which they have alleged corruption. During the session, NDA ally Shiv Sena is likely to pitch for a law to pave the way for construction of a Ram temple at Ayodhya. A section in the BJP is also in favour of the government facilitating the construction of the temple. The Winter session of Parliament is taking place two days after a mega show of strength by Vishwa Hindu Parishad (VHP) to press for early construction of the temple. In the nearly month-long session, the government will push for passage of the triple talaq bill pending in the Rajya Sabha. It had promulgated an ordinance to make the practice of instant triple talaq a penal offence. The Winter Session usually starts in November. However, it would be the second year in a row when it begins in December. According to the Parliamentary Affairs Ministry, 45 bills have been listed for introduction and passage. Some important new bills that are likely to be introduced during the session are -- The National Commission for Indian System of Medicine (NCIM) Bill, 2018, The National Commission for Homoeopathy (NCH) Bill, 2018, The Aircraft (Amendment) Bill 2018 and The Jallianwala Bagh National Memorial (Amendment) Bill, 2018. The session will have 20 sittings spread over a period of 29 days between December 11 and January 8. Many present in the all-party meeting convened by the government Monday suggested keeping Parliament proceedings suspended between December 24 to January 1, which they claimed has been a tradition. In the original schedule, Parliament will have sittings on December 24, 26 as well as on January 1. However, according to sources, the government will take a final call after considering the issue based on precedents of not having sitting on these dates.